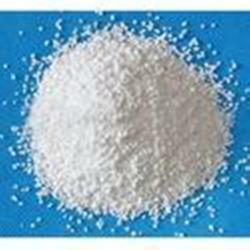 Our range of products include sodium dichloroisocyanurate dihydrate nsf grade. We are pleased to introduce ChloroJeevan: Sodium DiChloroisoCyanurate - Dihydrate- Granular (NSF Grade) for drinking water dis-infection and will have following properties and specifications . NSF Certification is key to making sure that the products used meet strict standards for public health protection such as drinking water application.